When you start shopping for window film, you’ll need to answer a few questions based on your needs, budget and preferences. One of these questions is how dark you should go with the window film. You may have preferences about how dark you want your windows to be, but make sure that you also take your homeowner’s association rules into consideration. That’s why it’s important to understand tint levels and how they can impact your investment. Visual light transmission, or VLT, is the amount of visible light that passes through a lens. For instance, a lens with a VLT of 12% allows 12% of light to shine through and blocks 88% of it. 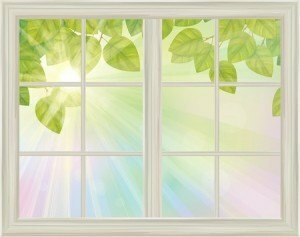 The VLT of window film is a crucial part in determining how much heat protection, UV protection and security protection you will get. VLT is calculated on the percentage of light that penetrates through tinted glass. It’s important to point out that the less light that passes through the film, the darker it is. With a darker color, more light is blocked and is unable to pass through. But this doesn’t necessarily mean that you should reach for the darkest color if you’re looking for a low VLT. Blacks and browns are the most popular colors for window film, but they don’t necessarily have low VLTs. A forest green window tint with a VLT of 50 is different than a brown window tint with a VLT of 15. Keep in mind that VLT is just one feature used to describe solar film. The only way VLT affects you is by the amount of light the films let through. If you want a cozy, dark room, opt for a low VLT. On the other hand, if you want a bright setting with UV protection, opt for a high VLT. Regardless of how much light passes through the films, you still get protection from UV rays, fading and glare. You also benefit from added security because window tints reinforce glass. When shopping for window films, there are many factors to consider such as UV rejection, thickness, interior reflectivity and visible light transmission. Pay attention to these factors because they tell you a lot about the film and the performance you can expect from it.